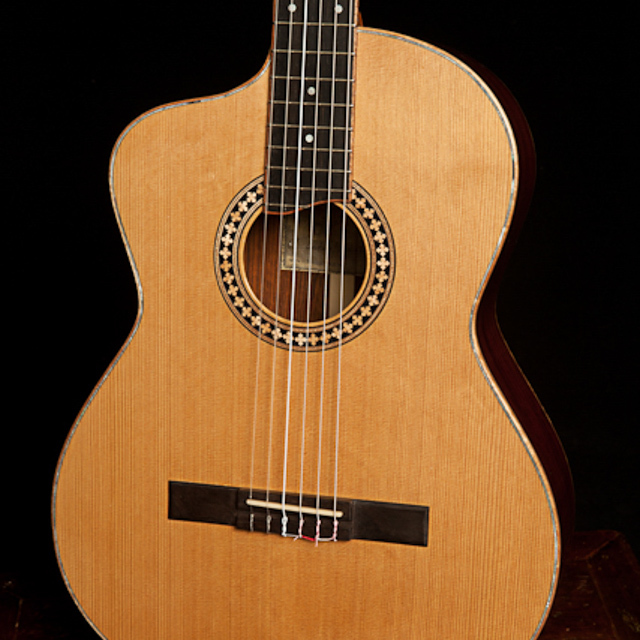 This crossover guitar is my attempt at bridging the gap between a classical and a steel string guitar. 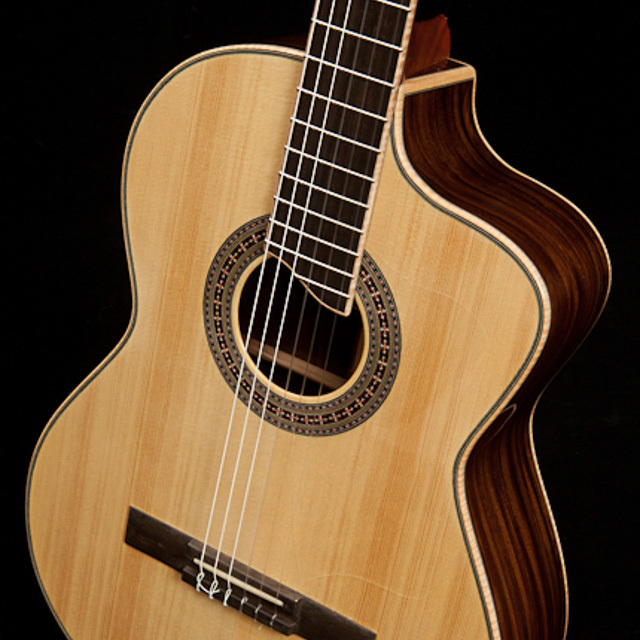 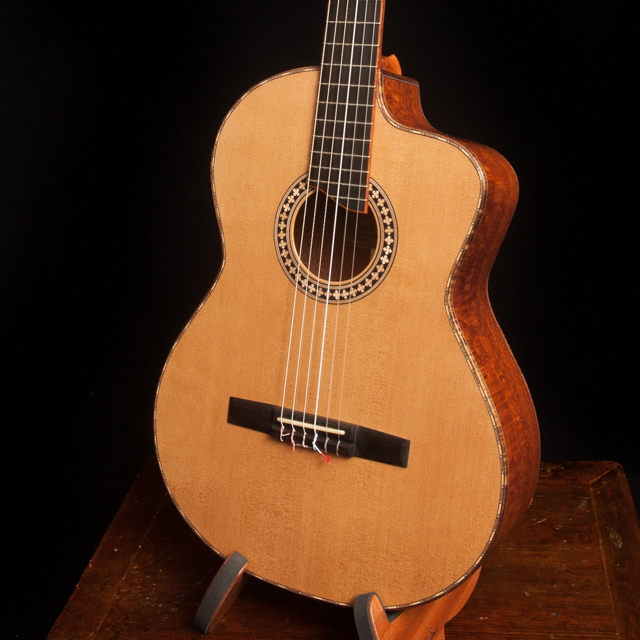 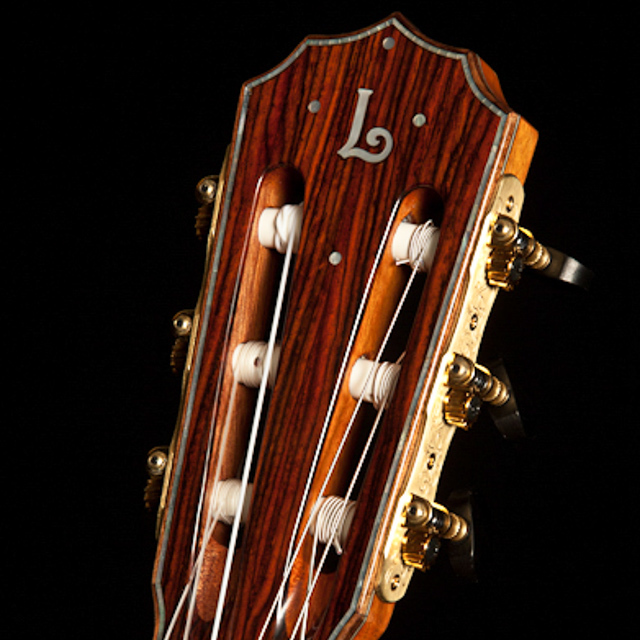 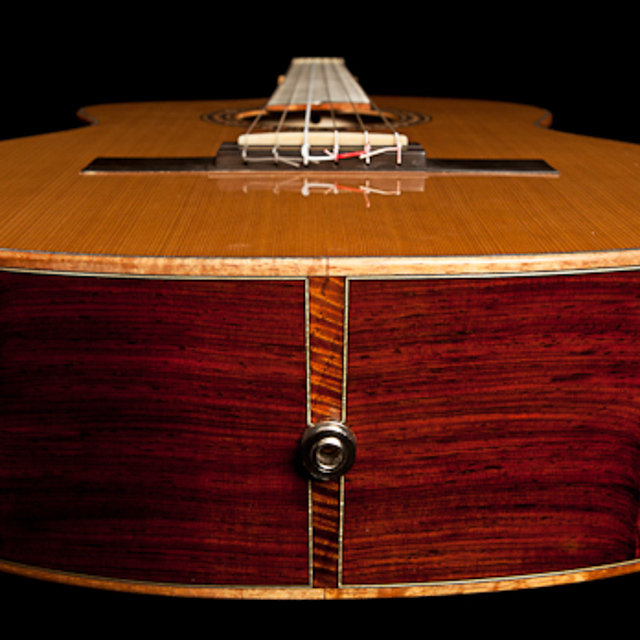 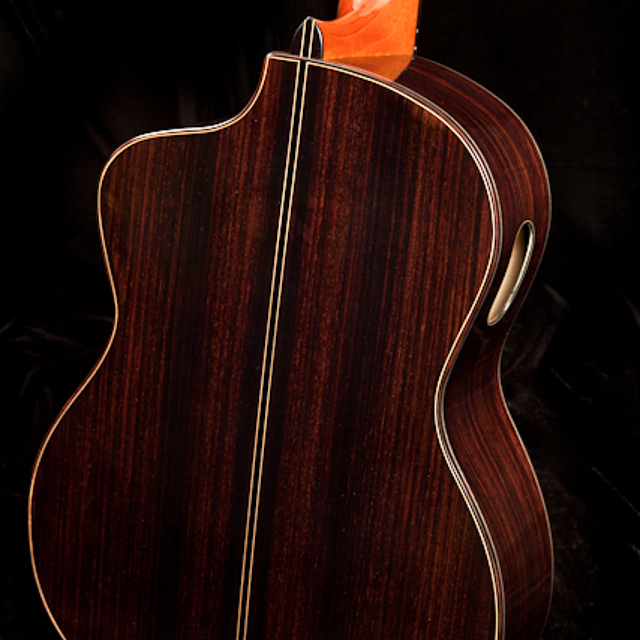 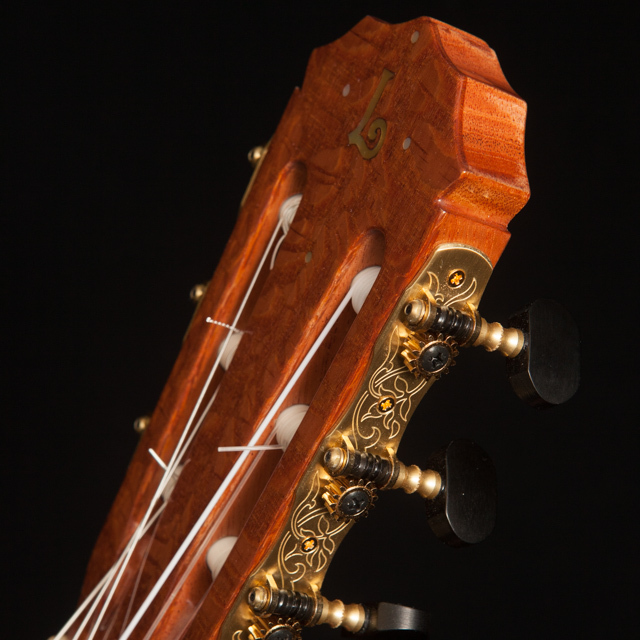 It has the body and bracing of a Ramirez classical coupled with a radiused fretboard and a 1-7/8″ nut width. 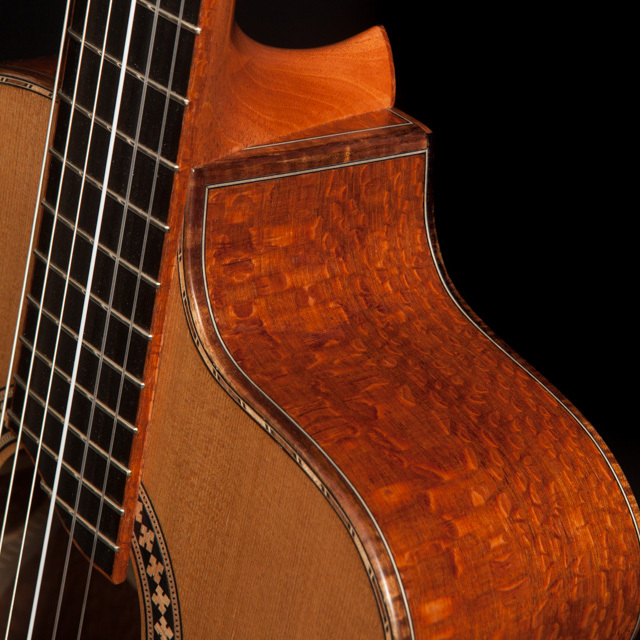 Classical guitars typically have a 2″ to 2-1/4″ nut width and steel string guitars are 1-11/16″ to 1-13/16″ so we have split the difference. 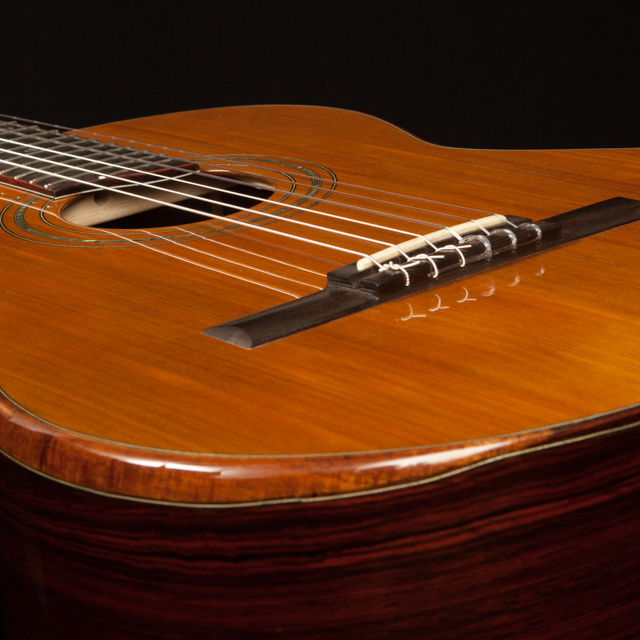 We added a truss rod, a body cutaway and a side soundport (both optional), as well as a K&K Classic pickup and strung her up with nylon strings. 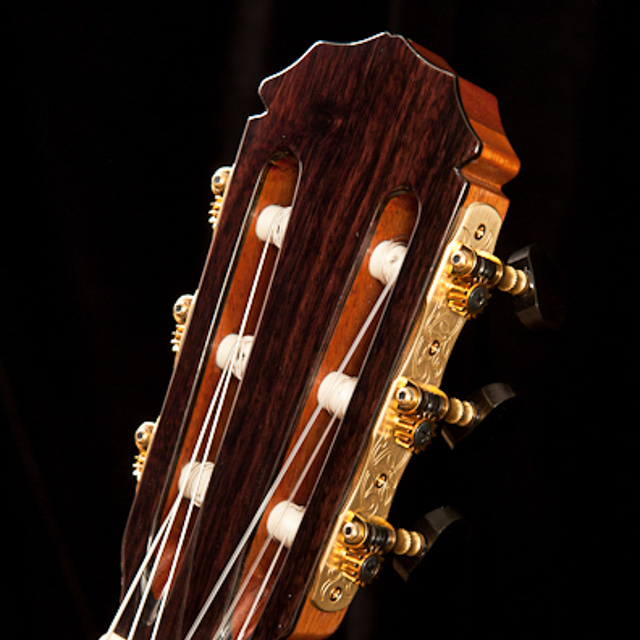 Being a steel string player it took me just a short while and I was hooked… once I got used to the technical differences (lighter tension on the strings) I was hooked big time. 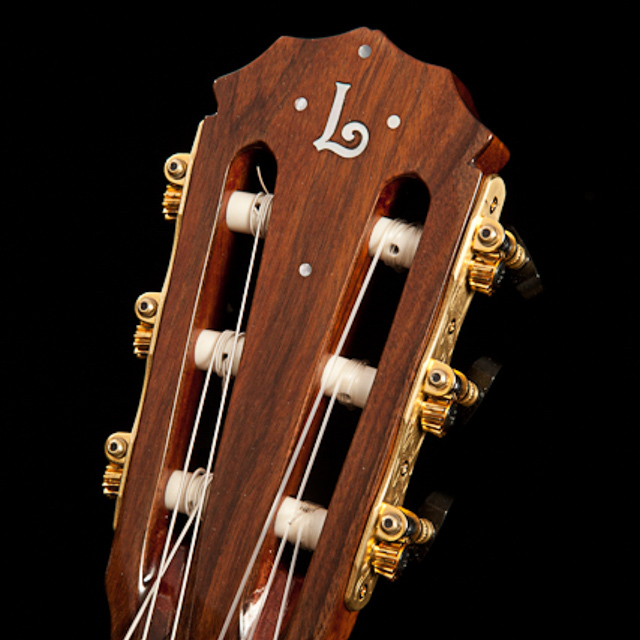 From the clearly defined and powerful bass through the mids into the nice clear trebles, one note with this guitar’s amazing sustain brings a smile … a string of notes brings a thrill. 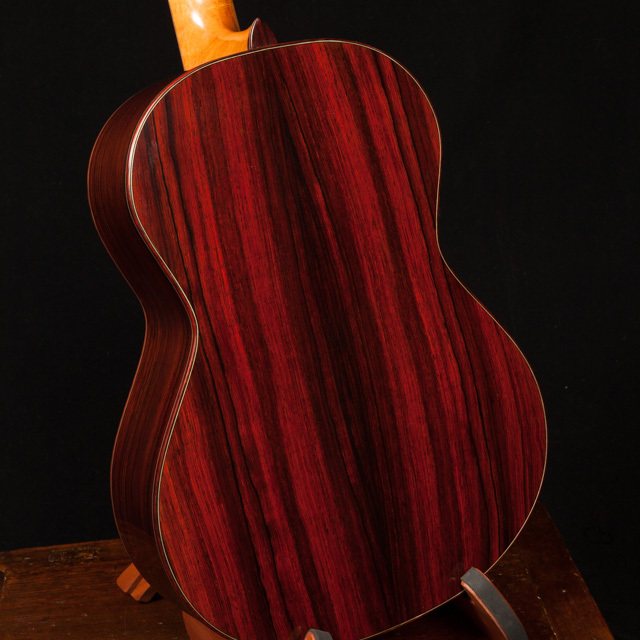 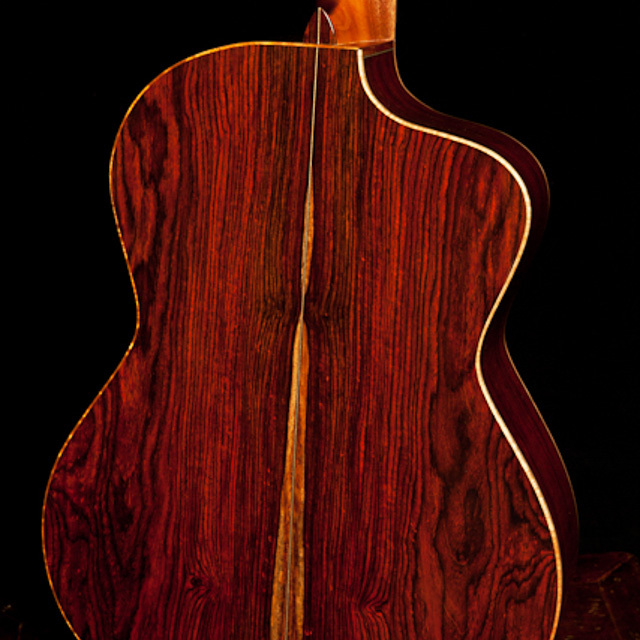 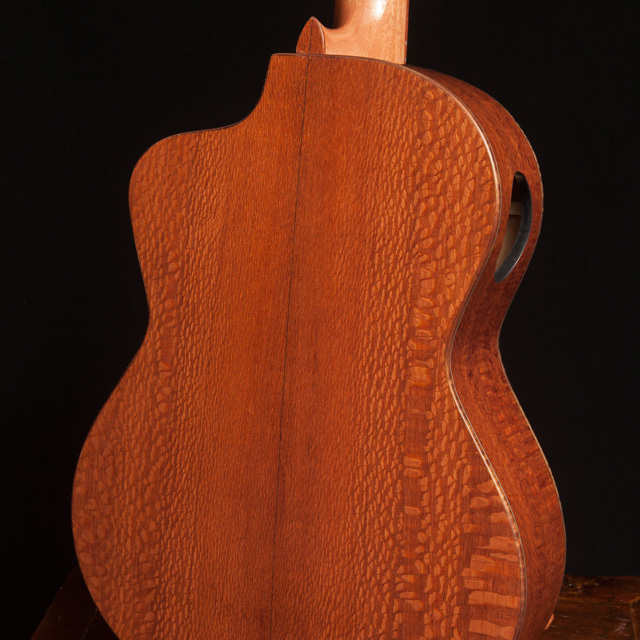 This latest guitar is a keeper in our line!